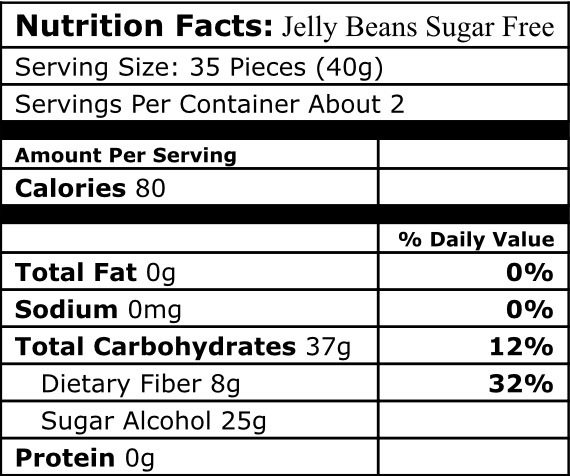 This jelly bean selection tastes just like the sugar filled jelly beans, but of course they are sugar free and sodium free. The sweetener is Splenda. What a nice feeling to be able to eat these. Serving size= 35 pieces(40g), Total carbs=36g, Net Carbs=4g, total fat= 0g, calories= 120, sodium= 0mg, cholesterol= 0mg. 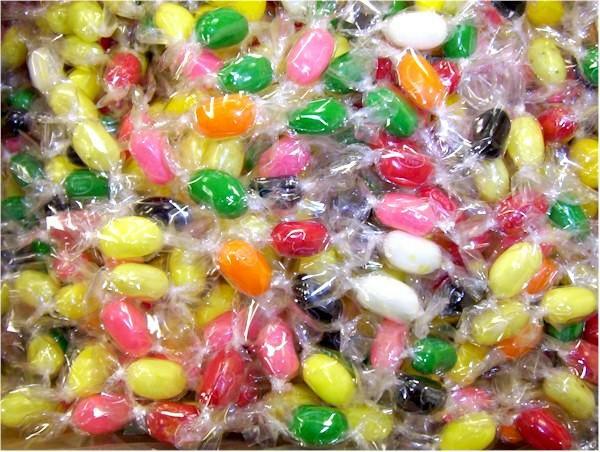 Made by JELLY BELLY GOURMET (Kosher Ko - parve) These jelly beans come individually wrapped. After years of looking for sugar free snacks, and being disappointed each time, I really didn't expect much from Diabetic Candy....Whoa....I was shocked at the great taste of everything in my order.....really, really good. Caution: it was so good, that I pigged out and over did it. Be careful, too much of it will get you very acquainted with your bathroom.